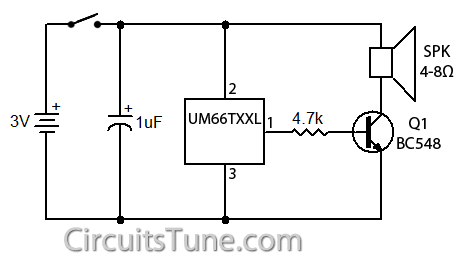 This is a simple (song) music generator circuit using ic UM66. To make a musical calling-bell, door-bell, kids toys etc. we can use this funny audio/sound/music/tone generator ic UM66. The UM66 series are CMOS IC’s, they has a built in ROM to store the music. The IC operates in DC +3V. We suggest to use two dry cell (1.5V X 2) for +3V Supply. 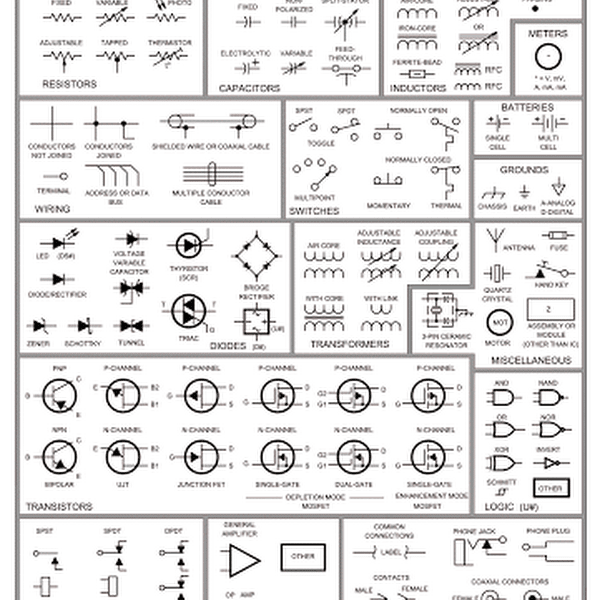 For Q1 use a TO-92 type NPN transistor like BC548, BC168, BC183, BC238, 2N2222. Speaker must be 4Ω or higher. UM66TXX series IC generate different songs-music, the song-music depends on the model of UM66TXX series IC’s. The song-music are listed below with model number.